What’s the state of Obamacare right now? The insurance titan has filed to offer Obamacare policies in Nevada in 2018. The move comes a month after it announced it was pulling out of all the states where it offers Obamacare coverage this year. Aetna(AET) agreed to participate on the Nevada exchange to help it win a contractto offer Medicaid policies in the state. Nevada gives insurers extra points in the Medicaid bidding process if they also agree to participate on its exchange. Nevada is one of 11 states that runs its own exchange, rather than using the federal marketplace, healthcare.gov. 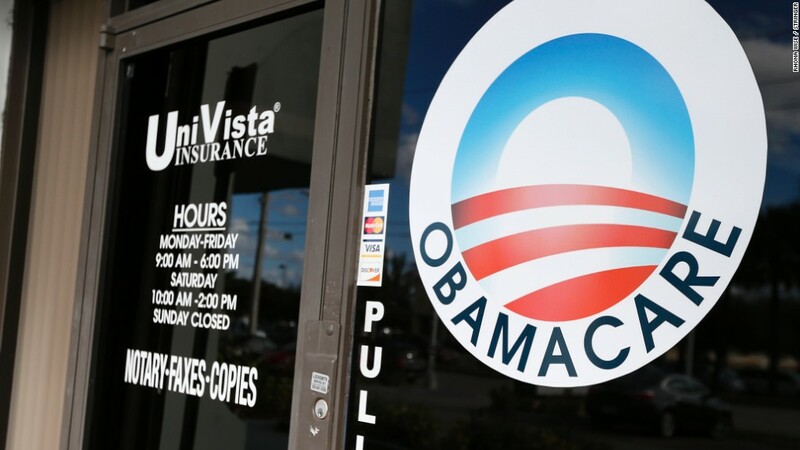 The carrier, however, still won’t fully commit to Obamacare. Insurers have until mid-September to sign their contracts, locking in their participation for 2018. “We’ve filed rates based on a contractual obligation with the state, but no final decision on our participation has been made,” an Aetna spokesman said, declining further comment. The Nevada Division of Insurance will release insurers’2018 rate requestson June 20. The agency expects carriers who won Medicaid contacts to make a good faith effort to participate in the exchange, said Commissioner Barbara Richardson. But she noted that much is in flux in Washington, D.C.,which may prompt insurers to change their applications. Insurers’ involvement in Obamacare is becoming a major issue for next year. Several companies, including Humana and some Blue Cross Blue Shield firms, have announced their withdrawals for 2018. This could leave tens of thousands of people in several dozen counties without the ability to buy subsidized coverage on an Obamacare exchange. President Trump and Republicans repeatedly cite these exits as proof that Obamacare is collapsing, though many insurers cite uncertainty in the White House and on Capitol Hillas a main reason for their departures. On another bright note, Centene(CNC) announced Tuesday that it would expand into three more state exchanges. The company plans to enter Kansas, Missouri and Nevada, adding to the six states where it currently operates. “Centene recognizes there is uncertainty of new health care legislation, but we are well positioned to continue providing accessible, high quality and culturally-sensitive health care services to our members,” said Michael Neidorff, the CEO of Centene, which specializes in the Medicaid market, but had 1.2 million Obamacare policyholders as of the end of March. It’s unclear whether Centene will participate in the roughly 25 Missouri counties that could be left without an insurer next year. Blue Cross and Blue Shield of Kansas City announced it would depart next year, leaving nearly 19,000 residents without a coverage option unless another insurer steps in. Centene and the state’s insurance agency did not return requests for comment. Are public pensions a thing of the past for young workers?